I looked forward to this prompt since the beginning! I love marbling. For this look I decided to marbled all the colors together since I usually marble separately. I wanted to push myself and get more practice with the traditional marbling technique. This manicure came out so much better than I hoped! I love how I can still see the marbling under the Nimbus technique. It looks like a true watercolor! 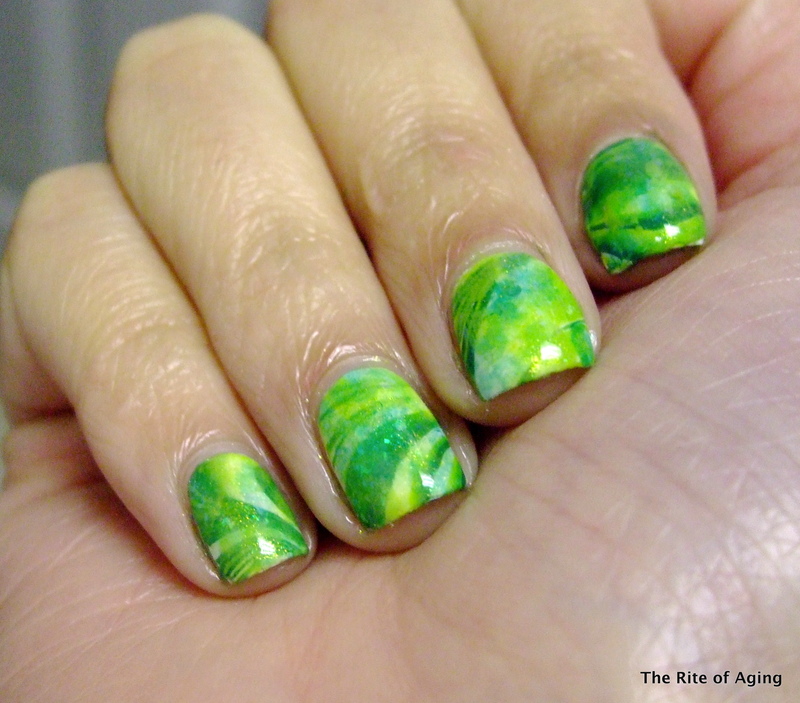 I marbled with Sephora by OPI I Come in Peas, It’s Totally Karma and Cab Fare. I protected the marble with 2 thick coats of Seche Vite. I then used a cotton swab, Zoya Remove +, Zoya Giovanna, and Sephora by OPI Cab Fare for the “nimbus”. I protected it with 1 coat of Seche Vite before finishing with 1 coat of Zoya Opal. Eeep! I really love how multi-dimensional this is! It came out exactly how I wanted except better!